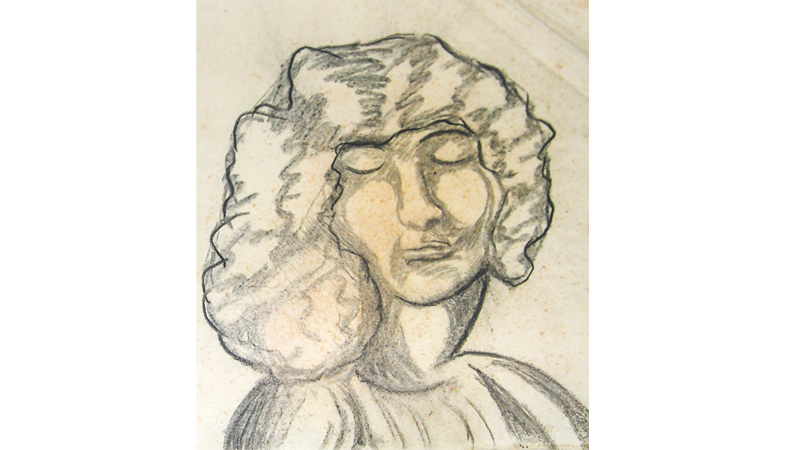 In the early twenties while living in Brooklyn Heights Dos Passos tried a few sketching classes with artist friends. Charcoal would never be as effective in recording a vivid scene as watercolor became for him. The lines stayed with him, though, and many quick sketches include color notations in pencil for later full color paintings.